This emphasis on the human side of things is evident from the fact that Peter does not get bitten until over a third of the way into the movie. Giving more time to Peter Parker and less to Spider-Man, though, turns out to be a good thing. Seventeen years old, Peter loves to saunter around with his hood up and a skateboard at his side. He gets bullied, he has a silly crush on a girl in his class, and he’s smart yet also naive. Most importantly, he’s a complex and likeable person. The biggest strength of the Peter/Spider-Man character across all formats–the fact that, unlike Batman or Superman etc., Peter Parker is an everyman who we can all relate to–is wonderfully portrayed here. Andrew Garfield, sporting awesome gravity-defying hair, brings just the right amount of vulnerability and charm to the role, confirming him as the perfect replacement for Toby Maguire. Emma Stone plays a much stronger lead female role as Gwen Stacy than we saw from the original trilogy, and the two bring a genuine chemistry to the screen together (Webb’s previous directorial position clearly coming into effect!). Both actors look a lot older than their character’s seventeen years, but it’s a niggling issue at worst. The bad guy, Dr. Connors, played by Rhys Ifans, is an interesting character, but his transformation into the Lizard also signals a transformation into genre tropes. As a villain he’s heavy handed, and doesn’t reach the potential that the Lizard from the comics could. 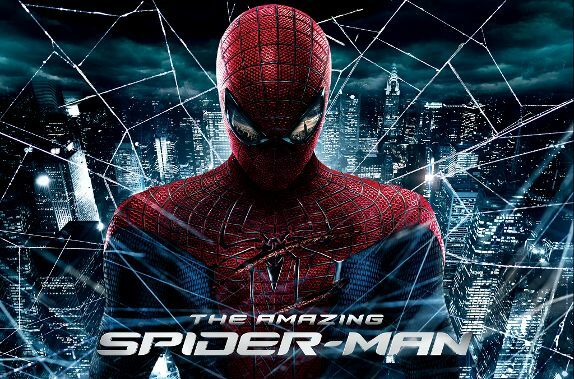 The film’s visual effects are great: Spidey flips around the screen like a juiced up acrobat; the Lizard’s limbs grow and melt away realistically; and the web-shooters that Spider-Man uses are fun and flashy weapons. Simpler things like the clothing and set design of regular characters and places (such as Peter’s bedroom) are equally brilliant, creating an absorbing world that these characters can believably inhabit. Unfortunately though, the big action sequences fall a little flat. The Lizard is big and strong and Spidey spends most of the fights running away from him. It’s not particularly tense and it ends up being formulaic. They’re not bad scenes per se; they’re just nothing we haven’t seen ten times before in similar movies. Immortals is probably one of the worst movies I’ve ever seen. Based loosely around Greek mythology, Immortals tells the story of a young man named Theseus who must lead the Hellenes to victory against the evil King Hyperion. There are are a few Greek gods involved as well (I’m actually not sure who half of them were – the movie never tells you) but they mostly restrain themselves from interfering in mortal affairs until the titans (evil gods) are released.